“A boundless expansion of tort doctrine.” “Puts the cart before the horse.” “Kicks the can down the road.” That’s how opioid companies have described an Oct. 5 report and recommendation that refused to dismiss a bellwether case against them. That’s how opioid companies on Nov. 2 described an Oct. 5 report and recommendation that refused to dismiss a bellwether case brought by Ohio’s Summit County and the city of Akron against manufacturers and distributors of the prescription painkillers and several pharmacies. U.S. Magistrate Judge David Ruiz of the Northern District of Ohio, in his report, had allowed most of the claims to go forward. But in objections filed on Nov. 2, the defendants told U.S. District Judge Dan Polster, who is overseeing more than 1,300 lawsuits over opioids, that Ruiz got it wrong. “Plaintiffs’ suit calls for a boundless expansion of tort doctrine that Ohio law does not countenance,” wrote retailers, including CVS and Walgreen Co., in their objection. The report is the first to go before Polster, who has yet to adopt it. 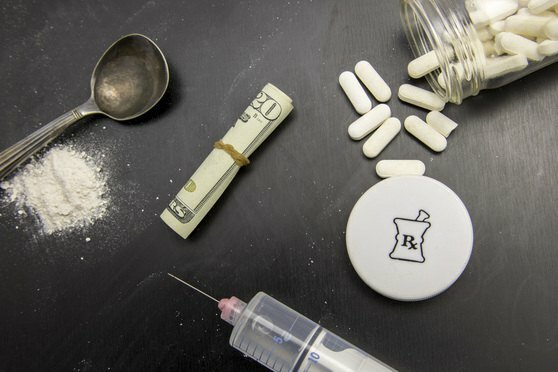 The judge’s ultimate decision could influence other cases brought by cities, counties and states over the opioid epidemic, which has caused a surge in deaths and addictions. In his report, Ruiz allowed a host of claims, including alleged violations of the U.S. Racketeer Influenced and Corrupt Organizations Act and public nuisance, to go forward against the opioid companies. But the manufacturing defendants wrote that’s not true at the dismissal stage. Moreover, the defendants, which include Purdue Pharma and Johnson & Johnson’s Janssen Global Services, contend in their Nov. 2 objection that discovery won’t help the plaintiffs. Chief among their objections is Ruiz’s refusal to dismiss the RICO claims, which defendants alleged were derivative of the personal injuries of addicts and, therefore, not “business or property.” Instead, Ruiz sided with plaintiffs’ claims that the injuries were public expenditures and lost tax revenue. That holding, the defendants wrote, is wrong. Manufacturers wrote that it ignores a 2003 precedent in the U.S. Court of Appeals for the Sixth Circuit called Perry v. American Tobacco, in which the appeals court held that several insurance plan subscribers suing tobacco companies for increased premiums lacked standing because they weren’t directly injured. Likewise, the opioid plaintiffs, the manufacturers wrote, lacked standing because their alleged injuries were derivative, not directly caused by, opioid use. The distributors also argued that Ruiz incorrectly lumped them together with the manufacturers in allowing racketeering conspiracy claims to go forward. “That was serious error,” they wrote. Ruiz also relied on a 2002 decision in City of Cincinnati v. Beretta USA, in which the Ohio Supreme Court allowed public nuisance claims by the city of Cincinnati to go forward against gun manufacturers. On Aug. 22, Ross County Court of Common Pleas Judge Scott Nusbaum cited the same decision in refusing to dismiss an opioid case brought by the Ohio Attorney General’s Office. But both the distributors and pharmacies argued that Ohio’s legislature overruled the Beretta decision when it amended the Ohio Product Liability Act. The distributors also have asked Polster to certify three questions to the Ohio Supreme Court on whether the Ohio Product Liability Act abrogates all public nuisance claims and certain common-law negligence claims. That’s because Ruiz found the Ohio Product Liability Act abrogated some public nuisance claims but, in the one portion of the report that sided with the defendants, not as to other public nuisance and negligence claims. Plaintiffs’ attorney Linda Singer, a partner at Motley Rice in Washington, D.C., also filed an objection about Ruiz’s public nuisance holding, noting that it was contrary to the decision in the Ohio attorney general’s case. In the Opioid Litigation, Who Represents Addicted Babies? Comprehensive, yet clear and concise look at New Jersey law regarding medical malpractice liability.